It’s been one month since a 7.8-magnitude earthquake devastated parts of Ecuador on April 16, 2016, impacting the lives of thousands of civilians. It’s the largest recorded quake that Ecuador has experienced since 1979 — a tragic situation made worse by a lack of financial support, which has fallen short of the government’s need for $72.7 million in aid, as reported by the UN. The areas hardest hit included Muisne, Pedernales, and Jama, among others. Integral to the management of the UN’s humanitarian efforts is satellite imagery, from a variety of satellite sources. As a part of its humanitarian program and ongoing partnership with UrtheCast, the United Nations UNOSAT program (a division of UNITAR) used satellite imagery — including this UrtheCast Deimos-2 imagery captured on April 19, 2016 — to conduct its preliminary analysis of the affected areas. 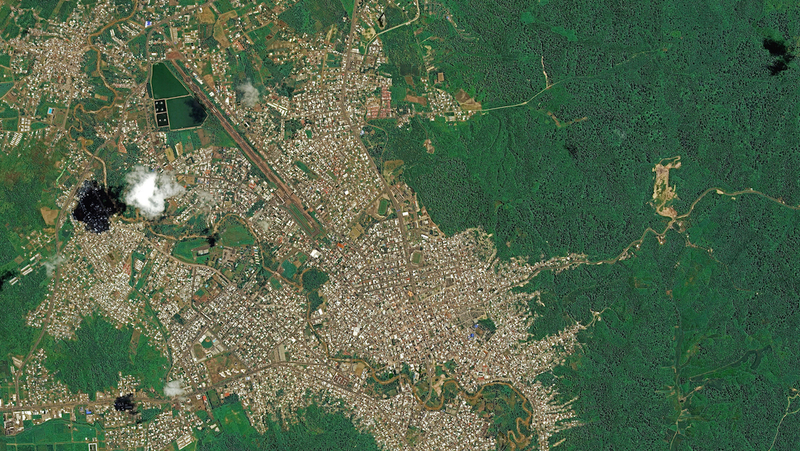 This Deimos-2 imagery data, focused around the area of Portoviejo City, in the Manabi Province, was released by the UN on April 27, 2016. The analysis, which you can review here, also leveraged Pleiades data and WorldView-2 imagery captured back in July of 2014. 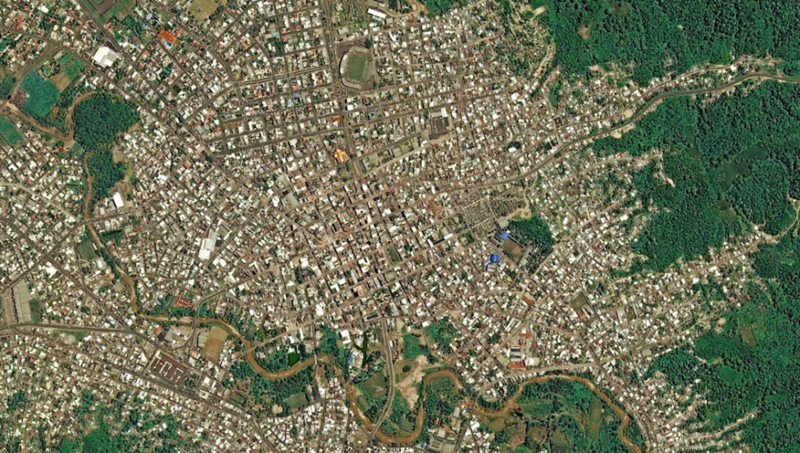 The center of Portoviejo City, Ecuador. Image captured by UrtheCast’s Deimos-2 satellite on April 19, 2016. One week later, on May 6, the UN reported that Ecuador’s death toll had reached 660 lives lost, with 23 people still missing. The fallout from April’s tragic quake is expected to keep taking its toll on the people of Ecuador, especially in the wake of lower-than-expected levels of financial support. Donations to Ecuador’s earthquake relief efforts can be made via the UN, here. Click here to learn how UrtheCast collaborated with the UN to confirm the destruction of Palmyra’s Temple of Bel by ISIS.